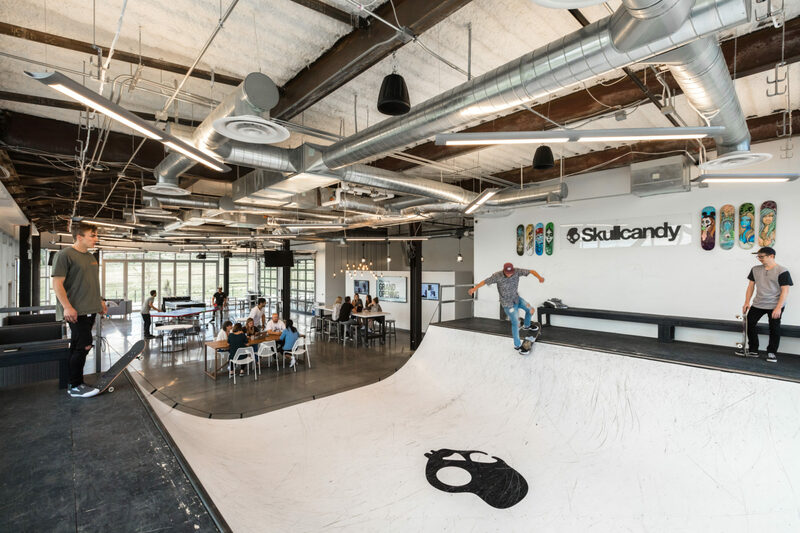 Skullcandy’s new office reflects a ‘skater-punk’ brand coming to maturity. EDA’s challenge was to create an interior whose design embraces Skullcandy’s coming-of-age, while still celebrating their irreverent roots. 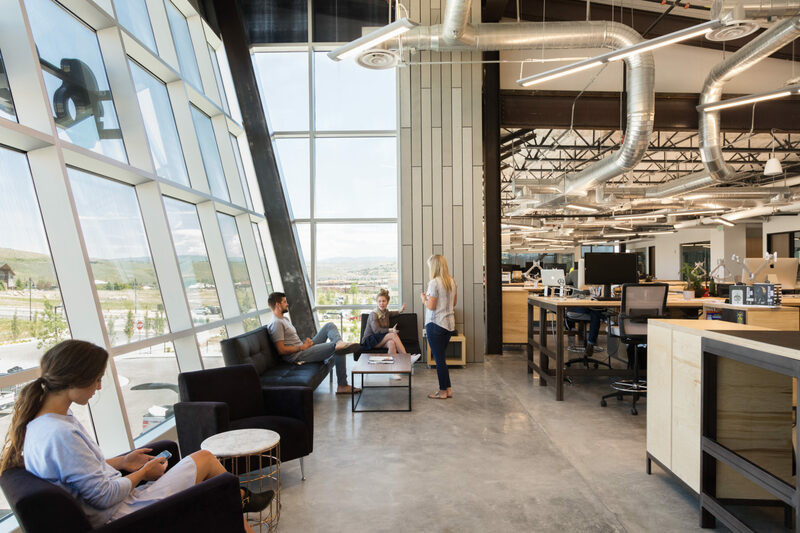 From R&D lab space to a half-pipe skateboard ramp, the new headquarters’ interior supports the full range of employee activities. 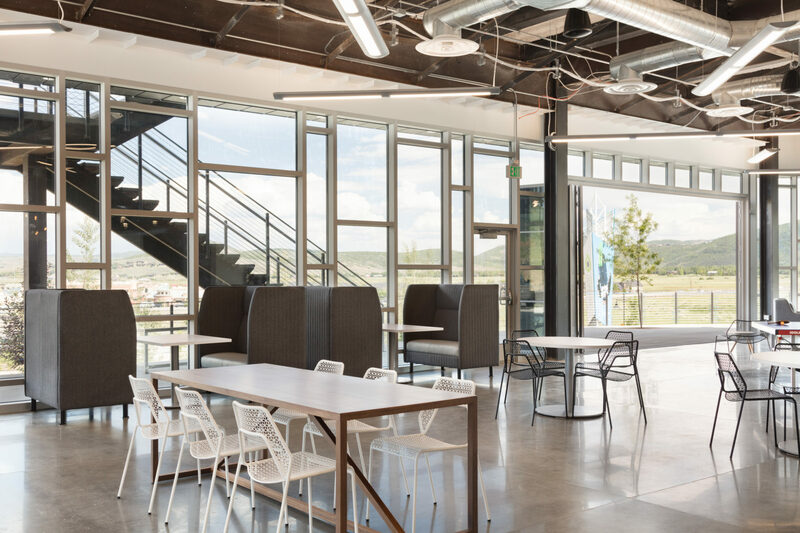 Many unusual programmatic elements were included to meet Skullcandy’s unique organizational needs. 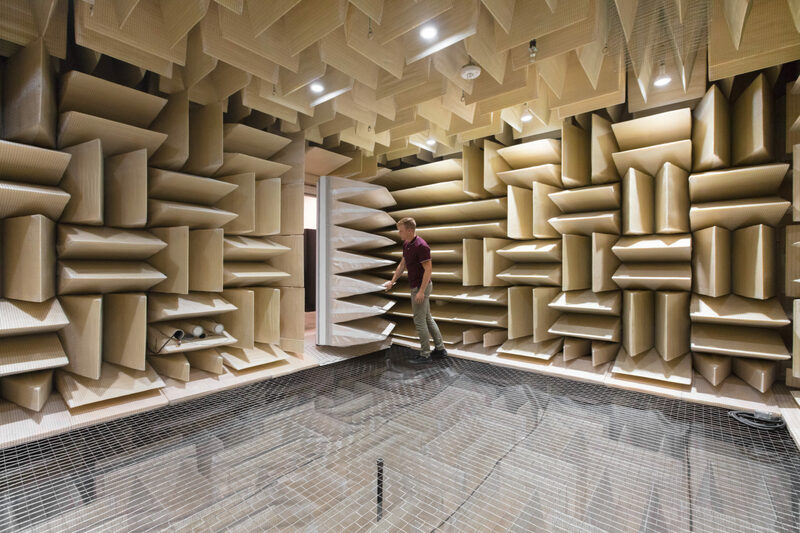 These included an anechoic chamber (a room designed to completely absorb reflections of sound or electromagnetic waves), woodshop, painting booth, printing room, warehouse, retail store, music jam room, photography studio, and retail display workroom. Thoughtful space planning for a functional flow that addressed concerns of noise, fumes, and dust separation was paramount to the success of this project. EDA was able to solve for a tight furniture budget through the creation of a unique, and completely custom designed workstation solution made from steel, butcher block, and Baltic birch plywood. 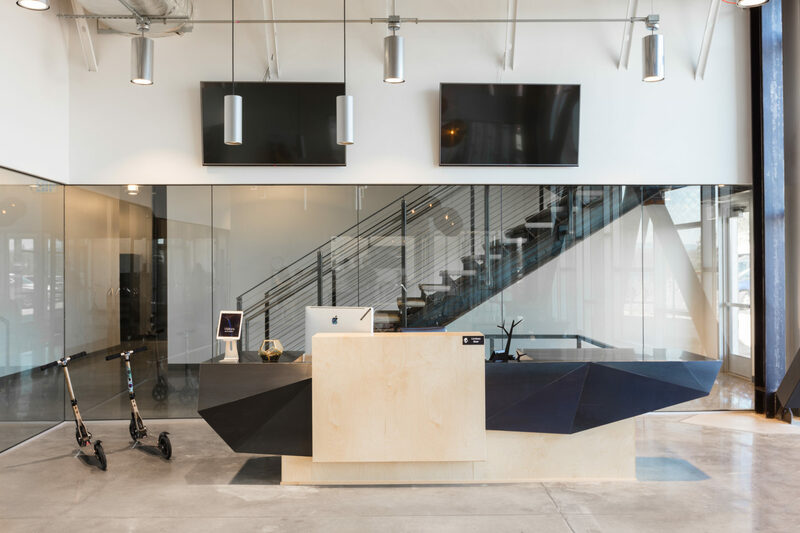 Efficient and effective, this custom workstation solution contributes to the overall feel and function of the space.